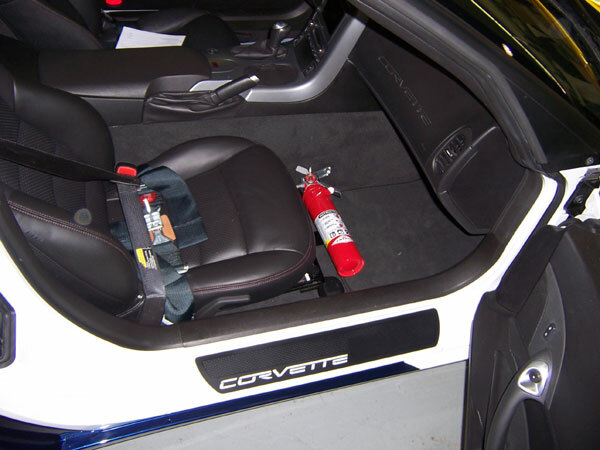 Vetteworks offers a fire extinguishers mounting bracket that installs to the front passenger seat on 2005 through 2013 C6 Corvettes. 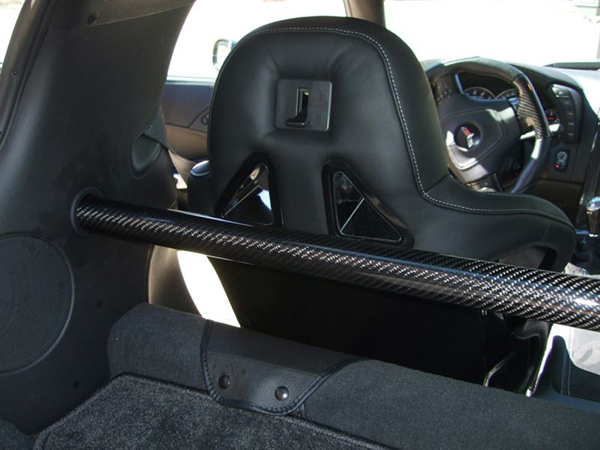 The C6 bracket will fasten to the front two seat rails and can be installed or removed in seconds without tools. The C6 bracket must be installed with the seat adjusted fully back. 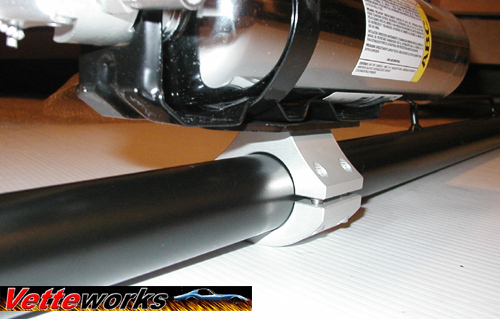 There will be a small amount of forward seat adjustment on power seats once the bracket is in place. 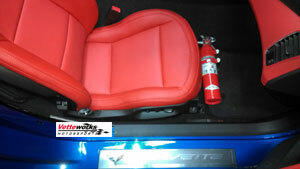 C6 bracket will accept only Amerex fire extinguishers from 1.0 lbs up to 2.5 lbs. The C6 Extinguisher bracket is constructed through a precision lazer machined process and are powder coated with a matt (flat) finish. High quality chrome finish is now available. bracket come with detailed instructions. 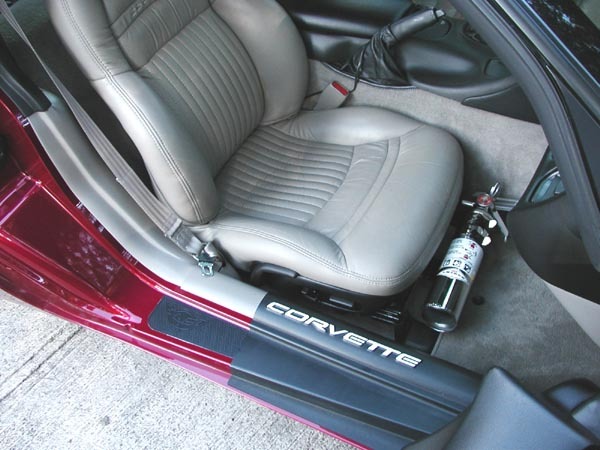 GM exclusive uses Vetteworks C605 Brackets in all of their official 2006 C6 Z06 Brickyard 400 and Indy 500 pace Corvettes. 01. Amerex 860 Universal Fire Extinguisher Bracket. 03. Amerex 862 heavy duty Universal Fire Extinguisher Bracket.